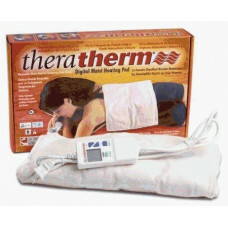 Theratherm 1030 Moist Heat Pad Small 7"x15"
Product Code: Theratherm 1030 Small 7"x15"
TheraTherm Digital Moist Heating Pad is an electric moist heating pad designed for home use. TheraTherm Digital Moist Heating Pad, as opposed to dry forms of heat, draws moisture from the air and retains it in specially designed 100% cotton coved. The retained moisture is rapidly heated by high-grade ceramics allowing deeper penetration of heat into the body's tissue. 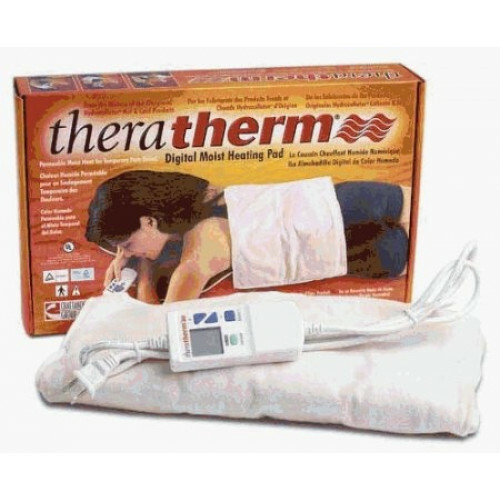 TheraTherm Digital Moist Heating Pad unlike all competitive products on the market has a digital hand control allowing the operator to program the following parameters: treatment temperature, treatment time and on/off. Competitive units including Thermophore, require the operator to make continual contact with a single-loaded swith to generate and maintain heat from the pad. Automatic time control (1 - 60 min. timer) with auto shut off.